With lots of talk these days about the heavy burden of student loan debt, it’s easy to become worried about your own debt. But whether you’re in school right now or a recent graduate facing the first of your monthly loan payments, it’s important to take a step back and consider the big picture. Forty-four million Americans are currently paying off $1.4 million in student loans, with the average graduate approaching $40,000 in student loan debt, according to 2017 statistics. It’s safe to say that paying down debts will be a major undertaking for many people over the course of several years. But at what additional expense? Will you have to forgo a home, a car, or some other major milestone? How much will you have to scale back your everyday life? In an effort to pay down your loan as quickly as possible, you could inadvertently be giving up more than you need to. Before you embark on your student loan repayment plan, make sure you’re thinking about other important goals, too. Let’s talk about what those are and how to enable a fuller life as you pay off your loan. Yes, you read that right. It takes some discipline and planning, but student loan debt doesn’t have to prevent you from buying a home. Keep your other debt low. Mortgage lenders suggest keeping your debt-to-income ratio at 36 percent or less, including your mortgage payment. That means carefully watching what you spend on credit cards and limiting other loans. It’s a good idea to pay down as much of your other debt as you can before you apply for a mortgage. 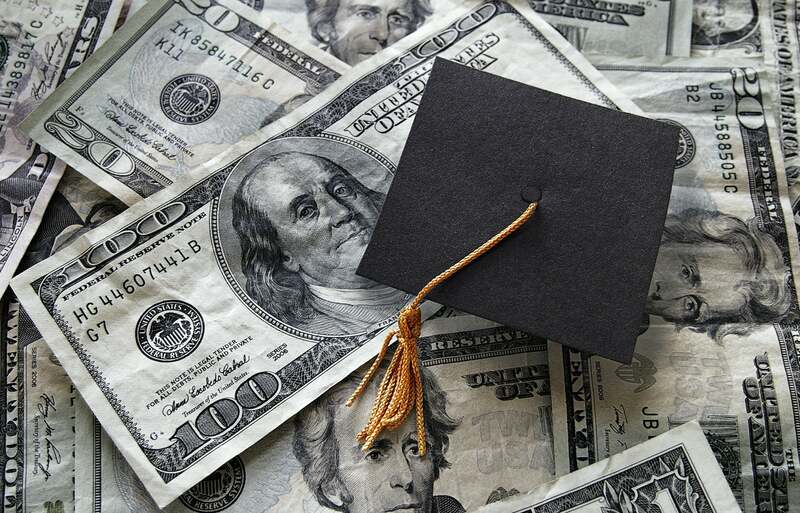 Refinance your student loan. If your debt-to-income ratio is still too high even after paying down your other debt, talk to your loan officer and ask to negotiate a new payment plan. For example, you may be a good candidate for an income-driven repayment plan. This option resets your monthly payments based on your current income. It makes your payments more affordable and helps reduce your debt-to-income ratio. Save for upfront costs. When you are ready to buy a home, you’ll need to have cash on hand for a down payment and closing costs. Home buyers are traditionally advised to put down 20 percent. But some banks and first-time homeowner programs will accept a lower down payment by requiring that you pay for mortgage insurance, for example. Stick to what you can afford. Balancing a mortgage and your student loan means you shouldn’t expect to buy your dream home right off the bat. Instead, aim for small and basic. With good payment habits and a steady income, you can always work up to your dream home later. Until then, make sure you’re only looking at what you can afford. You may be wondering: I just graduated — how can I think about retirement already? Getting a job and paying off your student loan should absolutely be a priority. But your long-term financial security is important, too. Some people feel a lot of urgency to get student debt off their books as soon as possible to save money on interest. After all, if you’re on the standard 10-year repayment plan for federal loans, that’s 10 years of interest you’ll owe plus the principal. Focusing solely on paying down your loan seems to make a lot of sense. But if you’re okay with carrying your student debt for awhile, you can also spend the time saving for retirement. Take the extra income you’re tempted to put toward your loan and put it into a retirement fund instead. The sooner you can invest in your financial future, the better you’ll be in the long run. You may find that the tradeoff in paying loan interest can be found in earlier retirement and greater ease of living later on. Enjoying life when you have student debt isn’t necessarily irresponsible or even impossible. Think about it this way: your education is an accomplishment you’ll likely never regret. But you may regret postponing recreation or relationships in sacrifice to your student debt. In fact, feeling like you can participate in your own life makes your student loan less of a burden and keeps you motivated to pay it off. Whenever you can, set aside extra money in a “fun” fund, even if it’s $5 or $10 at a time. Go for inexpensive entertainment like happy hours or movies. And take advantage of free fitness classes or music shows. Just be sure to avoid overspending or paying with credit. Set goals for yourself. For example, every six months you could treat yourself to a nice dinner or a massage. Or if your fund has grown enough, plan a weekend getaway with friends. Whatever feels financially feasible for you, don’t be afraid to do it and reward yourself. The reality is that you may not be able to buy a home and save for retirement and have all the fun you want while paying down your student loans. Much of what you’ll be able to do depends on your employment and the amount of income you’re earning. Instead, pick one or two goals to incorporate into your budget. As you earn more income, you can increase your goals and the amount you put toward them. Just don’t let your student loan dampen your zest for life or rule all your financial decisions. And no matter what, make all your loan payments on time since it’s critical to maintain good credit when you’re paying off debt. Also remember to check your credit report yearly to get an accurate sense of your financial health and to address any issues that could be hurting your credit score. If you do get into some credit trouble, there are professional experts who can educate you on how to fix bad credit. All of these habits will help you live within your means, earn a better credit score, and achieve some of life’s most satisfying milestones, even as you pay off your student debt. If your credit score is suffering from unpaid student loans or you’ve gotten behind on any other loans and your credit score has suffered, Lexington Law can help. Contact our legal credit repair experts today to learn how you can use credit laws to your advantage and repair your credit today. This entry was posted in Loans and tagged debt, retirement, student loans. Bookmark the permalink.